Mindfulness is a practice which facilitates consciousness work by bringing the practitioner to the experience of the present or now moment. The focus of one’s attention on the now moment enables a release from the entanglements of the past and future and their accompanying pain and suffering. Mindfulness training helps open the gateway to the deeper Self and sets the stage for accessing, integrating and embracing more of who and what we are. Mindfulness is a journey not a destination. We practice mindfulness to honor the call of an interior life…when we seek a deeper experience than the day-to-day intensities of surface consciousness, when we seek to move through anxiety, depression, reactivity, fear of aging, fear of incompetency or inadequacy and other thought forms, beliefs and energies which can fracture and dis-integrate us. Mindfulness training as we age can be particularly valuable as a mindfulness practice opens us to realms of peace and calm possibly never before experienced. As we center more deeply in our Self we are less pulled apart, less fractured by the outside world, challenging relationships and difficult circumstances. This promotes our authentic Presence, a state of consciousness whereby we are a source of stability and compassion for ourselves and all who surround us. From this place we can open to the experience of profound Joy, a state not dependent upon if “good” or bad” things happen but which occupies us as we live in alignment with Life as it unfolds. 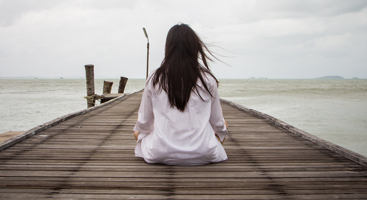 Mindfulness and chronic disease offers practitioners of mindfulness the opportunity to gain valuable perspective on their chronic disease or health challenge. It naturally helps birth the question, “who would I be without my disease?” and from there we can work to re-member Self, to begin the journey to authentic healing with the felt sense that we are not our chronic disease or health challenge. As we progress on this journey we learn about body and disease symbology and how disease actually serves our deeper healing if we are able to open to its teaching. There is no mistake that many of us with vascular heart problems are challenged with flow of feelings and emotions in our lives. Similarly, those of us with chronic pain are challenged with restriction or blockage of the flow of energy and with the practice of mindfulness, consciousness work and dreamwork we can unveil the secrets the body is carrying. Just as author Karol Truman entitled her seminal book, “Feelings Buried Alive Never Die” the material we neglect or repress contributes to the origin and manifestation of disease processes. Stated somewhat differently, through disease and other health challenges our bodies reflect the various content and processes we carry unconsciously. Mindfulness practice is a gateway to a first step in unveiling the unconscious and initiating a journey to authentic healing. Every client I work with is unique and I celebrate the rhythm and flow of each person. Some people are initially drawn to mindfulness practice as a path to Self. Some people are drawn to mindfulness practice later on in their journey, when their own timing supports the process with ease. With my mindfulness offerings I provide guidance on how best to engage and include mindfulness practices in day-to-day life. But this is only the beginning! Mindfulness practice opens us to new new perspectives and new worlds. Problems, issues and challenges we have danced with for years can be unveiled in ways not previously experienced. My work with clients includes engaging and embracing these new thoughts, feelings and perspectives, even the most challenging ones, and providing guidance on this expanded journey to Self. If you feel called to explore Mindfulness training, call me today at 970-292-6820 or complete this contact form.